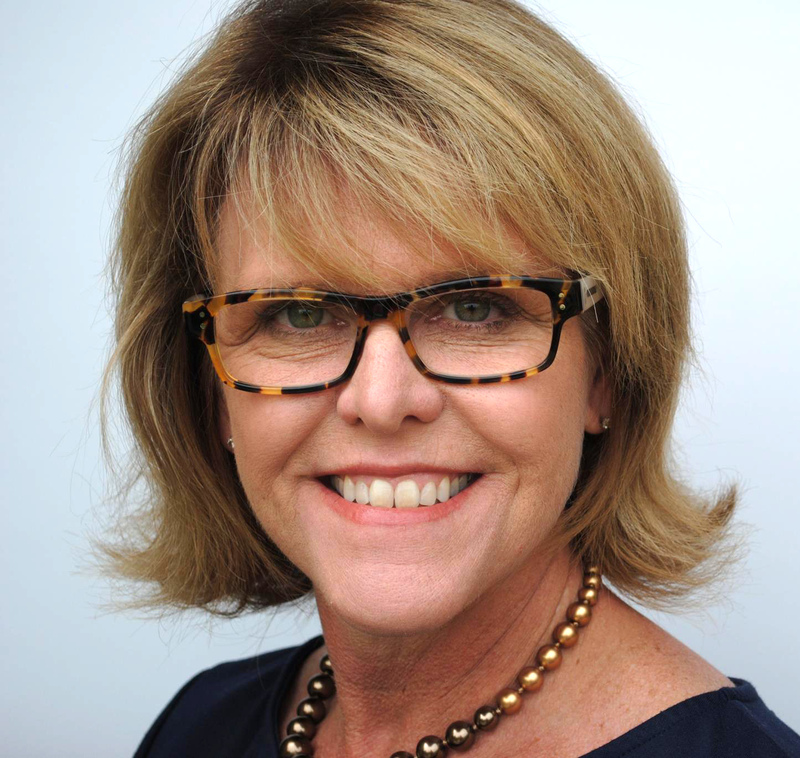 CARLSBAD — On Nov. 6, voters will choose Linda Breen, Tracy Carmichael, Barbara Hamilton or Dave McGee to fill the seat vacated by Mark Packard. Here are their thoughts on the city and the race. Cori Schumacher and several of her “allies” for possibly not being a reliable vote on the council, among other things. Breen, though, said she is moving on and focused on the voters, who she said are the most important issue for the City Council. Listening to them and “speaking truth to power,” as she wrote, is one reason she decided to run. Tracy Carmichael, meanwhile, said she doesn’t engage in the negative aspects of campaigning, saying her energy is better spent engaging with residents about the issues important to them. 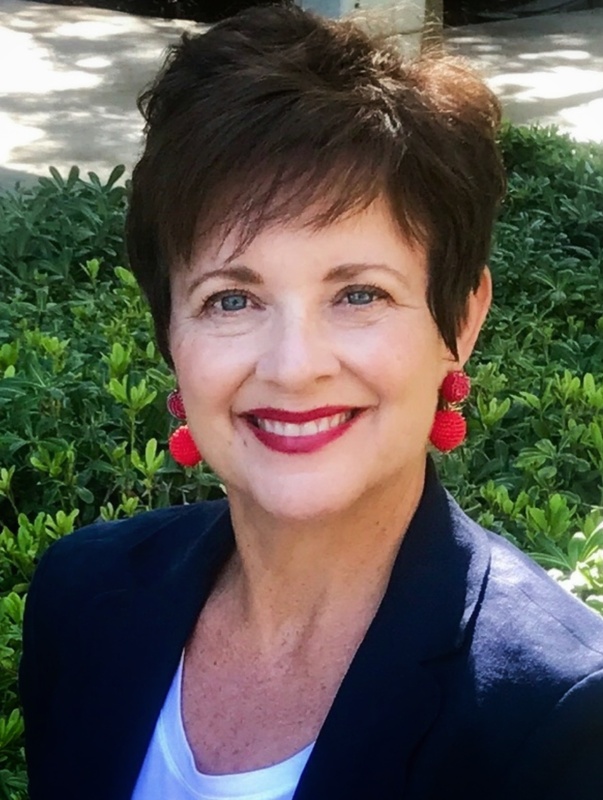 She is leaning on her experience as former Carlsbad Unified School District board trustee and involvement with charitable organizations such as the Hi-Noon Rotary Club and Carlsbad Christmas Bureau. Still, negative campaigning and lack of discourse is not her style, Carmichael said, and she will not engage. Breen said the divisiveness stems from the 2016 special election regarding Measure A and the proposed mall on the south shore of Agua Hedionda Lagoon. Regardless, she said the basis for her campaign is to create good public policy. Breen said her focus is to look at each issue intelligently and independently to make the best informed decision. Like Breen, Carmichael said it is important to take each issue independently. Citing her school board experience, Carmichael said she like to see a plan first and then process, communicate with staff and professionals and residents before making a decision. However, there are difficult issues and eventually a council member must make a decision. Breen said the recent passing of the McClellan-Palomar Airport Master Plan update was a shock, while there was little the city could do. 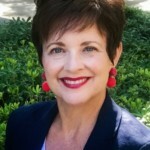 Even with good legal representation from the Denver-based law firm of Kaplan Kirsch and Rockwell, Breen said it appeared the city did not have the power to force San Diego County Board of Supervisors to act as opponents and residents wanted. Carmichael said it is important to continue discussions and the city’s options open. However, she said it will be difficult to force any change since the county owns the property. Another issue of concern, or at least interest, is the trenching of the railroad tracks through Carlsbad Village. Carmichael said it is important to do so as a matter of public safety, citing the numerous deaths from train accidents over the years. She said public safety is and should be the priority, noting dire situations cannot be put on hold as first responders wait at the crossings. Breen, though, said she is looking at the cost and economic impacts. Estimates for double-track trenching are more than $350 million. The city will not be responsible for the entire tab, and Breen said she has concerns about the economic estimates. 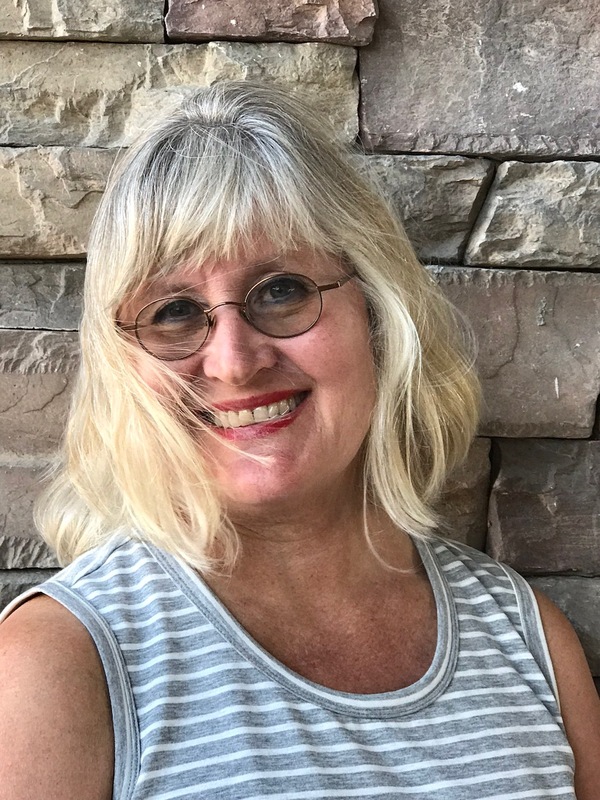 Barbara Hamilton has become a polarizing figure, at least in the land of the internet and Facebook, as many have chided the former Republican for switching parties and joining forces with mayoral candidate Cori Schumacher. Unlike several of the other candidates, Dave McGee has no endorsements and jumped into the race because he thought Packard would seek a fifth term. Since Packard did not run, McGee said his focus has been on learning the issues, although he is protective of the Barrio neighborhood, where he has lived for years. Infill development in the Village and Barrio is arguably the hottest issue as many residents fear new buildings will hit the 45-foot mark allowed by the recently passed Village and Barrio Master Plan. McGee said each project must be vetted carefully to ensure the character of the neighborhoods are protected. As for the McClellan-Palomar Airport Master Plan, Hamilton said the city should have stepped up in opposition and asking the Board of Supervisors to delay any action. She is concerned about the negative impacts such as traffic, pollution, noise and hazards with the new plan. McGee said it is critical to keep “the wolves” at bay and doesn’t see the economic viability with the airport. Trenching the railroad tracks from the Carlsbad Village Station to Tamarack is another big District 1 issue. McGee said the trench may not be the best idea, but the city must remain “in the game” regarding potential funding sources. He said a more robust fence line should be installed in the meantime, and if the city does not pursue trenching, perhaps pedestrian bridges could be a solution for residents, especially at Chestnut Avenue. Hamilton said more comprehensive community outreach is needed due to the project’s complexity. Several issues are important, she said, such as construction noise, pumping and others. 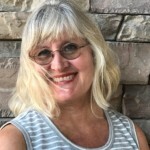 However, she said it is not fair to compare Carlsbad’s attempt with the success in Solana Beach, which trenched its tracks about 20 years ago. Carmichael is Hall’s choice so you know what you’ll get from her. Vote for anyone else! Tracy Carmichael is a positive, uplifting, and knowledgeable voice in the community. She would do Carlsbad proud as the District 1 council member. Do you live in District 1 ? Barbara Hamilton is a polarizing figure. The last thing we need is more division. It is interesting that someone who is a democrat can not understand that what is important is a majority. If there are more candidates the vote is diluted and the minority wins. The historically in power party knows this and welcomes all challengers. Try not to take it personally. Isn’t Brian the husband/partner of a Hamilton team member? These are still non-partisan races. Hamilton not only is an occasional voter, she only became a Democrat to piggyback on Cori’s party connections. The condescending tone of the comment is reason enough to vote for anybody but Ms. Hamilton. If we were smart we would all vote for the sane choice. David McGee. Dear Ralph. 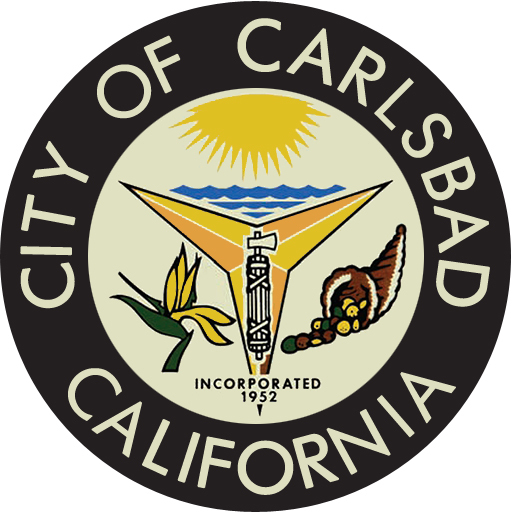 Carlsbad has been partisan since 1952. Cori is the first non Republican on the council in 66 years. I condescend. Couldn’t agree more. Same thing also happened when Cori ran for Council and yet was still able to manage enough votes. The people running in District 1 all seem to have personal agendas regardless of their politics. All I know is that Carmichael is backed by Hall and supported by the same money. I don’t live in District 1 but I’d vote for ABC (anyone but Carmichael). I know Cori backs Hamilton so that would be good enough for me. Tracy Carmichael is funded by the same developers that are supporting Hall and the not-so-clean candidate Busta. Anyone who can’t figure that out is probably too dumb to vote. Don’t believe the garbage you read in glossy mailers. Believe the facts stated on the Financial Disclosures for each candidate on the city’s website. And Ralph, I’m fine with your choice but the problem is, as Brian points out, a split vote doesn’t help anyone. Larry is a polarizing figure with his moronic FB page claiming to be “journalism”. The only polarizing figure in all this is Hall and his minions with their phony FB pages and their lies. You’re certainly welcome to support Carmichael. 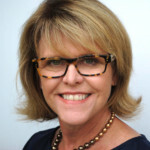 I agree that she has a long history of serving in Carlsbad. But tell me something: Do you also support Busta? Note that Busta has only lived in Carlsbad a short time, wouldn’t participate in any public forum or debate, and takes money from the same developers as Hall and Carmichael. If Carmichael is so wonderful, then why is she getting her money from Ben Badiee, a La Jolla real estate developer/builder and from a PAC rather than from locals? Check her donations from 10/18. And that same guy Badiee just made a $7000 donation to Hall today. Do you also support Busta? Does anyone know the story with some of Cori’s larger donations into her campaign? Would be interested in knowing more. Why don’t you ask her yourself? She’ll actually respond instead of getting upset and shouting at you like Hall. By the way those are two of several hundred donations. Not really surprising that unions might support her. Also not surprising that the Police Union is compelled to donate $10 per person but have no control over where the money goes (Hint: It’s not for mailers for Cori). 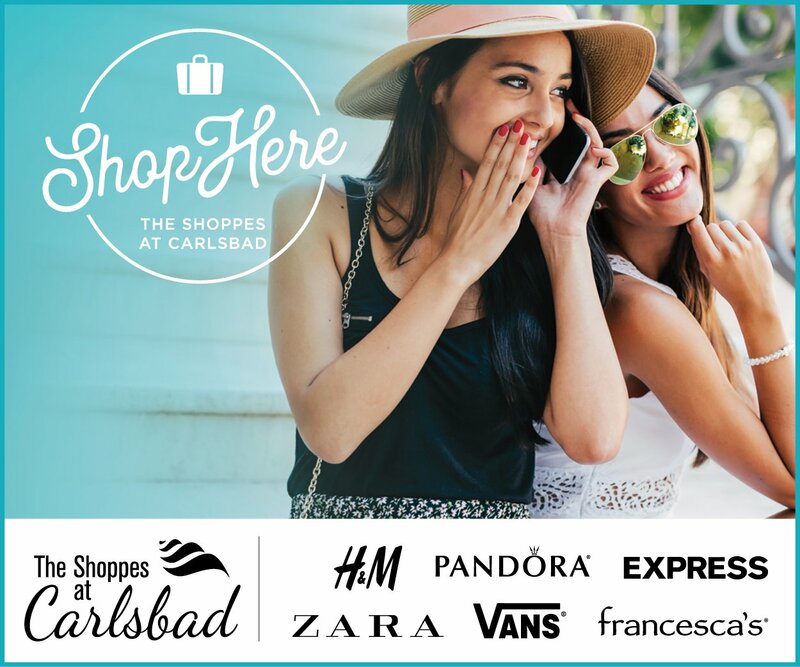 More than 90% of Cori’s donations are small amounts from Carlsbad residents. too bad we can’t say the same for good ole Mattie boy who is the best friend of every developer in SoCal. By the way, do those unions have any current projects up for review in the city? Shopoff Realty of Irvine is behind the Ponto project. They donated to Hall. They also donated to Michael Schumacher. Gee whiz, isn’t that funny. Why should out of town developers with business proposals here want to fund local politicians? I wonder. And the sad truth is that this is just one of many examples. Of course Caruso takes the cake in terms of the sheer volume of money but we shot that one down. Did Matt return the money? 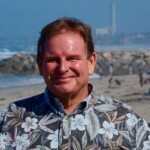 Matt Hall has been mayor of Carlsbad for 8 years and on the Carlsbad City Council for 12 years. Prior to that Hall was on the planning commission. After all of these years he still does not correctly pronounce McClellan – which is not just part of the name of our airport but the name of a founding family of Carlsbad which has continued to live here for generations. Very disrespectful to not learn how to read/pronounce the McClellan family name. I am an independent voter and don’t belong to either political party. My takeaway from all this is that if you don’t like Cori, you should vote for Linda because she does not like her either. Great Julie. Just be sure to vote for Cori first then go ahead and vote for Linda. I mean really does it matter who gets credit for defeating Measure A? All this nonsense boils down to plain and simple resentment on the part of a few people who got mad because Cori became the face of the movement against Caruso’s mall. I give her credit for taking the lead and putting herself out there. God knows many of us who walked for hours and hours to collect signatures to defeat it probably feel we deserve more credit too but when does this petty nonsense end? It would be spiteful and stupid to vote for Hall and Linda because Hall just wants to invite Caruso back again. So what would be the point of supporting Linda then, who fought so hard to stop the mall? Think about it. Don’t throw the baby out with the bath water. And just listen to yourself, by the way. Since when was voting a matter of picking the person you like or don’t like? How about looking at policies and what the particular candidate has to offer in terms of ideas? A great man once said “An educated citizenry is a vital requisite for our survival as a free people”. Educate yourself and I don’t mean by just looking at FB pages and gossip, please. Voting is important. o or the Lincoln Club ? I live in district 1 and unfortunately have been more thoroughly educated on local politics over the last 4 years than someone who does not live here can even imagine.And not by facebook. I have met all the candidates. Have you ? Most people who like Cori’s ideas seem to be backing Barbara. IF someone doesn’t like Cori’s ideas, Linda is an extremely intelligent person. Tracy serves word salads and smiles a lot. Did Carlsbad anticipate in 2014 the things that would have come before council in the past 4 years and the intelligence it would take to handle them? (Obviously not as Packard won) Who knows what will come up in the next 4 years? We need some intelligence up there capable of analyzing future policy that hasn’t even come up yet. There is a point to supporting Linda IF you think about it … neither spiteful nor stupid, and I’m one of the last people in this town who needs a lecture from you that voting is important. When did I tell you not to vote for Linda? Just for the love of God don’t vote for Hall. I live in District 4 and unfortunately we have ZERO reprsentation which is why people who live down here in the part of Carlsbad that is often forgotten need to pay attention to all of the other races. So it seems we actually agree on many things, more than you’d think, since I too am independent. We also agree that some candidates are just talking gibberish while others use their brains. I do agree that Linda’s qualifications are far superior to any of the others from a educational perspective. I apologize if you thought I was being condescending. That was not intention. I just can’t see anyone voting for the combination of Hall and Breen, that’s all, since it wouldn’t really make much sense. Apology accepted,Addie. I agree that people in District 4 got cheated of representation – maybe you’ll run in 2020.
experience.The post below by Linda is the most negative messaging I’ve read or heard by any of the 4 council candidates. “Attack” is an awfully strong word, and unless Lisa McKethan is going around bodyslamming people ( which I highly doubt- isn’t she a kindergarten teacher? ), the real negative messaging source is Linda Breen and will be self-defeating. This puzzles me because the post does not sound one bit like the Linda Breen I’ve heard speaking her mind for a few years now and that’s a shame. Thanks for accepting my apology. I’ll admit I get emotional but it’s nothing like how emotional I was over Measure A! And it wasn’t even that I opposed the mall that much. What I was most upset by was the circumventing of the normal process, the lying and duplicity, etc. In any case my main focus is making sure people realize how important it is to our quality of life that Hall not continue to serve as mayor. His main message seems to be that if Cori wins then Carlsbad will transform into some kind of garbage dump run by socialists (or some nonsense like that). Seems the only way he can motivate people is through fear. I see no positive message or vision coming from him at all. As for District 1, I’m kind of glad I don’t have to make that choice but you can refer back to my original post. It’s patently obvious that Carmichael is beholden to the same money that backs Hall and she would simply be a rubberstamp. At least we can agree on that. Ralph…NON-partisan??? Really??? When the local Republican cabal is supported by the SD Lincoln Club who spend thousands on bogus hitpiece mailers and hire consultants to dig up phony dirt on opponents. Maybe that word doesn’t mean what you think it means. Hopefully whoever wins will bring a fresh direction for Olde CBad/Barrio/Village District 1 with “The Village by-the-Sea” at the the Heart of Carlsbad since 1888. After Packard cashed out in “The Village” selling his property for $$$millions$$$ he decided his work was done… Adding the largest boxy strip mall building ever built in “The Village” only adding $$$million+ condos = gentrification on steroids. We moved back down here to leave this type of development behind in West LA… Unfortunately Mayor Mall+Airport envisions an LA/OC style DT CBad. I’ve been asked a couple of direct questions about my campaign on another forum, and I felt obligated to answer publicly. Here are a couple of examples: We were hassled by two women in adjacent houses in the neighborhood of Barbara Hamilton and Lisa McKethan. I believe it was on Yourell Avenue. It was at least 2 blocks from either of their homes. One of the homes had a Hamilton sign out front. It is our practice to skip canvassing homes with signs of our opponents, so we did not go there. I had a nice conversation with a resident across the street, and as I left, the woman from the Hamilton house crossed the street, accosted me and asked me what I was doing, and followed me a bit. That wasn’t too bad. But a young woman came out of the house next door, and watched Noel and me while talking on the phone. When we passed in front of her house, she got off of the phone and accused us of putting a flyer in her mailbox, claiming she had proof on her Ring camera. As experienced canvassers, Noel and I are both well aware of the law against putting anything into a mailbox. I pointed out my flyer which Noel had placed on her front porch, and Noel looked in her mailbox and found it empty. A couple of weeks ago, we were accused of putting my campaign flyer in the office mailbox for Cori and Tasha’s campaigns. I assume this strategy was intended to have a chilling effect on our canvassing, since flyers are always available to opponents to misplace, if they wish. Yes indeed, I am neutral on the mayor’s race. I am not defending Hall’s behavior. I have previously called him out publicly, and I have searched public records (unsuccessfully) to try to find evidence of his abuse of power. But I do think the hatred and rage is out of proportion. For example, based on residents I’ve talked to in our area, it is not clear to me whether district 1 residents favor an airport expansion or not. I believe that unless there is a vote or a valid survey, it is appropriate for the city to take a neutral position. I’ve talked with District 1 residents who owned their homes before the airport was put in, and they rightly object to any increase in flights. I have also talked with other residents who would welcome a nearby commercial airport. As I have stated, I am the only candidate in my race who supported Cori in 2016. I believe she was and is needed in Carlsbad, and she has been a needed voice for many residents. However, I do not think it is good for Carlsbad for either her or Mayor Hall to have a guaranteed majority vote for their platform. I strongly believe that each council member should vote independently, based on their intelligence and experience, and input from constituents. Cori has represented residents very well, and I have stated that I would expect to vote with her a majority of the time. However, I strongly disagree with her political judgment. She has recently sponsored and endorsed two current candidates who are both running dirty campaigns. Tasha Boerner Horvath has chosen to spend $20,000 of her $450K war chest to force my friend Elizabeth Warren to defend her legitimate ballot designation. And now I’ve learned Ms.Horvath is sending out flyers saying Ms. Warren is “not the real Elizabeth Warren”. Elizabeth Warren campaigns as “California’s Own Elizabeth Warren” to eliminate any confusion with a national figure. Ms. Warren received the most votes in the June primary, in spite of being vastly outspent by the other candidates. Ms. Horvath’s choice to go low using her big pharma money is unfortunate. Cori’s choice to sponsor my opponent Barbara Hamilton is also concerning. Her campaign is the dirtiest one I have ever encountered or imagined. I would be ashamed to have any association with such a campaign. Her choice to attack my family is despicable. It is amazing to me that Lisa McKethan, a woman who has been a guest in my home, would stoop to this level. I do have written documentation of this and other attacks. I have been accused of lying. I have been accused of bullying (which apparently is what these political operatives do when one truthfully publicizes their bullying). I have been told by more than one person that I should drop out in favor of a Democrat, though I am the only candidate who was a registered Democrat on July 12, and this should not be a partisan campaign. Ms. Hamilton’s surrogates have contacted my political friends in other cities and asked them to get me to drop out, and have threatened their careers. We are judged by the company we keep. I can defend the campaign strategies of those candidates that I support, and I wish others could do the same. While I would agree with Cori on most Carlsbad issues, I do question her financial judgment. While I support investigation of a battery farm and I am fully in favor of Community Choice Energy, I do not believe it is justified to tout their financial benefits as a replacement for developer money as we reach buildout. This is an example of why we need independent voices on council. In the Coast News Article, I did not intend to criticize Cori for not voting with the majority. I believe the point I intended to make was that I do not think we should replace a guaranteed 5-0 vote on the “pro-development” side, with guaranteed 4-1 votes on the other side. Elected council members have a serious responsibility to plan for Carlsbad’s future and to be fiscally prudent. We need diverse and independent voices. As I speak directly with ordinary residents, my message is resonating. I do not know whether I have spoken with enough people, or whether the negative messaging of Ms. Hamiton’s campaign has been enough to defeat me. I had never imagined that people I never met, and whose positions I mostly agree with, might feel hatred toward me, but this is the current reality. But in any case, I have learned things about politics and about some of Carlsbad’s residents that I would rather not have learned. I hope that, regardless of the results of this election, those who have participated in the ugliness will move on and work toward their goals in a positive way. Thanks Linda for your sincere post. Here’s my one and only concern…why has Noel become chummy with Larry and his group who have clearly decided to side with Hall? It certainly looks suspicious to many of us and we fear that Hall has made some kind of deal. Can you please respond to this? I’m sorry for anything that has happened to you during all this but living down here in La Costa, we’re kind of out of the loop and don’t see much of the day to day nonsense that goes on. And as far as Matt Hall’s public record is concerned, it’s hiding in plain sight. Just review all of his campaign’s financial disclosures plus his personal real estate holdings. I just don’t see how any intelligent person can fail to recognize the self-serving nature of his actions. Linda, if you’re not seeing it, that also adds to my suspicions. I don’t hate Hall personally. I DO hate his hypocrisy and mendacity. I just want him to enjoy his retirement starting November 7. Wow, Addie, you are one unhappy person. You act like those angry Trump supporters, which is troubling. One of my concerns with Cori and her supporters (like you Addie) is that Carlsbad will become divisive and hostile just like this country has become and to some extent like our neighboring communities. Do you recall the horrible public name calling that took place with the Encinitas council races? For 20 years or so Carlsbad has been able to avoid the nasty political environment. Nothing good comes of that. Addie, it looks like you and Cori’s supporters have potential of going down the same name calling path. What I have seen under Matt Hall is leadership. He may not be perfect, but under Hall, Carlsbad has been one of the best run cities in the state. Carlsbad is fiscally sound, it is progressive, and it is thoughtful in its planning. Hall does have a track record of managing the city with success. Carlsbad Rocks, Looks like you are the pot calling the kettle black here. The only divisive figure in all this has been Hall. Add to that his minions (including yourself) who think he actually runs things (Hint: he doesn’t) and is personally responsible for our fiscal reserves who post on FB and try to belittle everything Cori does (often by lying or making things up) and you have the product of a brain-washed few whose only source of information is clearly Faux News, so prominently displayed as a favorite on many of their FB pages. Am I angry? Hell yes! Angry at the fraud of a mayor who continues to hide behind his sanctimonious mask of being a good Church-going man who only wants to give back to his community…I call BS on that. The nasty politics began with Hall’s deceptive deal with Caruso. You reap what you sow. And again dirty name-calling? Hall’s followers are the champs. All I have ever done is pointed out the obvious…Matt Hall has significant glaring conflicts of interest. His financial disclosures and personal property holdings speak volumes about why he acts the way he does. So please spare us your false outrage and nonsense. You say Carlsbad is “progressive”? In what Orwellian world do you live in? Matt Hall doesn’t want progress…he wants status quo for him and his Rotary crowd. He wants to maintain his stranglehold on local power for him and his pals that he chooses to appoint to commissions. If you call what he is doing “progress”, then you also believe that he’s “non-partisan”, right? The word “leadership” and Matt Hall should never be in the same sentence. A leader listens. A leader considers other viewpoints. A leader treats others with respect, especially those with whom he disagrees. What has Hall done that would merit being called a leader? Lied to us. Made deals behind our backs. Sold us out for money to line his own pockets (well, his campaign anyway). Leadership? Not in my book. I may be a novice at social media, but I’m sorry. When I review what Noel has to say, it just looks wrong to me. I understand that you and your husband are not the same person, but didn’t he file to run and then stop? Just looks suspicious and I hope you can understand why some people might be skeptical. People, please don’t forget this: “At any time, Caruso Affiliated could submit the Agua Hedionda South Shore Specific Plan, or another plan, to the city via the traditional development process, which includes California Environmental Quality Act analysis and review by the California Coastal Commission.” (City Website) You think Rick forgot about that $12 million? Don’t bet on it. If Hall wins and is able to stack the deck with his people, you can be sure that Slick Rick will be back. The only candidate in District 1 who is polarizing is Breen. Breen, her husband and her campaign have engaged in incessant rhetoric maligning Hamilton, Cori and anyone else who dares show a backbone against their drivel. Their rhetoric should be seen for what it is: political mudslinging. Nothing less. Nothing more. 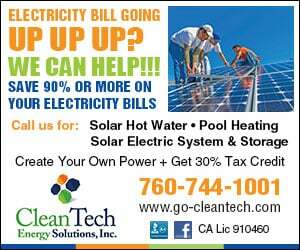 + Carlsbad business license fees/taxes and etc. But wait, we have more: local men and women business owners that get together and network… Oh my! They even will raise funds and do philanthropic work for various organizations to help people. We can’t have this. Perhaps Cori and her supporters could push for legislation that would ban such an organization within Carlsbad city limits. We need to push “these people” away to other communities. What do think Addie? things to say. Should we call you by your first name or your last? So “Rocks” if you want to join the rotary club why don’t you just do it? You might learn more about rotary than just looking at their website. Maybe they will ask for your real name. Where were you “Carlsbad” when the Mayor and Council ignored their citizens and supported a deceitful campaign to build an unwanted mall? Well run is in the eye of the beholder and some do not share your opinion that Carlsbad is well run. There are however many of us who feel the people who actually work for the city do a great job despite the bad management. I hope you appreciate mockery because you seem to employ it frequently. Nothing against the Rotary. They do some great and wonderful charitable work. But the idea that they RUN THE TOWN goes against their stated mission. So why don’t you try trolling somewhere else? How about opening your eyes to the fact that nearly every single position in Carlsbad govt and commissions has been filled by Rotary people. Is that because they are the only ones who care about Carlsbad or is that because they are being CHOSEN above any other candidates by fellow members? How did Lisa Rodman get picked for Planning Commission? Knowledge? Experience? Also, check out any FB pages where people are bashing Cori…know what you’ll find? Nice, kind, sincere, Christian Rotary people engaging in the lowest, vilest form of lying and character assassination you’d ever want to see. So please spare us your hypocritical, sanctimonious garbage and tell Matt thanks for teaching his minions well. I belonged to the Rotary Club back in my hometown in New Jersey. We never got involved in town politics except as individuals. The local Carlsbad Rotary and Hi-Noon Rotary seem to operate more like a local political group controlling (or attempting to, anyway) every facet of local governance. Here is the stated mission of Rotary International: “We provide service to others, promote integrity, and advance world understanding, goodwill, and peace through our fellowship of business, professional, and community leaders.” Please explain to me or have Matt Hall explain to me how this mission is being served by his actions. I must be missing something (or maybe he and his followers are) because I just don’t see how much of what they are doing here in Carlsbad follows from this mission statement. Maybe they need to get back to basics and stay out of politics, except as individuals. And, by the way, many people in town do good things and don’t happen to belong to the Rotary. I think Matt forgets this. At least when he spoke with me he seemed to imply that some people in town do more and therefore deserve more of a say in what goes on. The arrogance of his understanding of how the world works is astonishing and disappointing especially in a public SERVANT. The supreme irony is that Carmichael’s page says she is running on a platform of bringing “change”…HAH! If you take the time to read that piece by Riehl, please be sure to scroll through the comments. VERY enlightening to see Noel’s comments from last year and compare them to this year. My how things change. Someone must have Rocks in his head if he thinks we’ve forgotten who was behind the Mall. Was it just a coincidence that the leading boosters were Rotary people? Was it just a coincidence that their friends were the ones invited to the Grove and were part of all the community outreach and focus groups, stacking the deck in favor of Caruso and ignoring the rest of Carlsbad as if our opinions didn’t matter? How does that show their values? How does that show how inclusive they are? No, sorry, you lose…the divisiveness began with Matt Hall, Maureen Simons, and Bill Dominguez selling us out to Caruso along with their pals. And after they lost, Hall did NOTHING to bring the community together. Instead he doubled down and is likely still plotting to help Caruso get what he wants. No doubt Jimmy can’t wait either. I thought he was going to go to the poor house if we didn’t get the mall. Last time I checked he’s still there and still giving money to his favorite candidates. CR, if you are ignorant we can excuse you, but you’re not ignorant of what’s been going on these past few years. You’re aware and you’re complicit. And because you don’t want to see what’s been happening, you’re afraid of what’s going to happen come November 6. Deal with it. It’s called democracy. And we’re not even stacking the deck. We’re doing it the right way, by talking to people and convincing them, not by excluding them or feeding them lies.